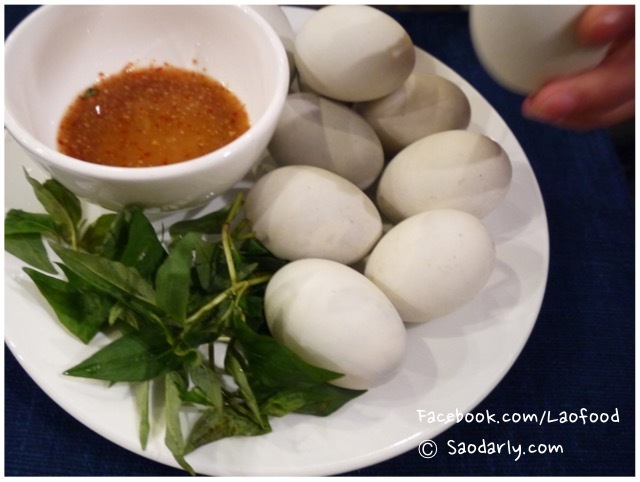 Late night snack with baby duck egg (Khai Louk Ped ໄຂ່ລູກເປັດ) in Vientiane, Laos. 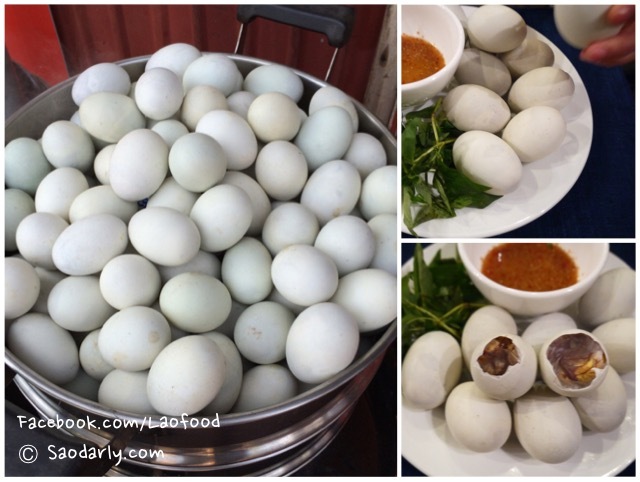 We bought these baby duck eggs from Three Sisters Restaurant (Han Sam Euay Nong) on Chao Anou Road. 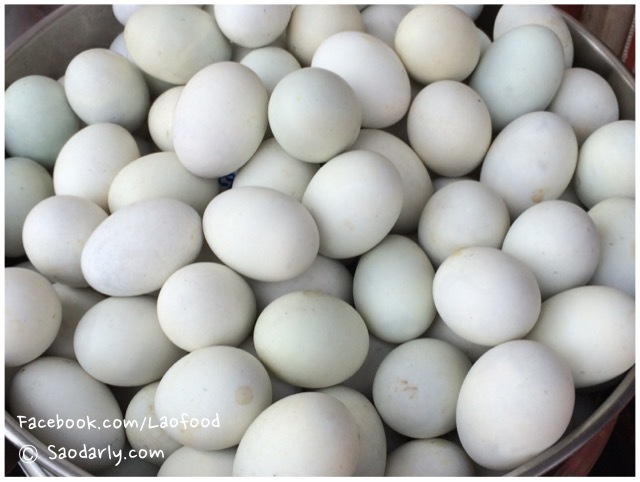 The eggs are just at the right stage of development with no visible head, eyes, or feathers but a big chunk of the yellow egg part for us to enjoy. 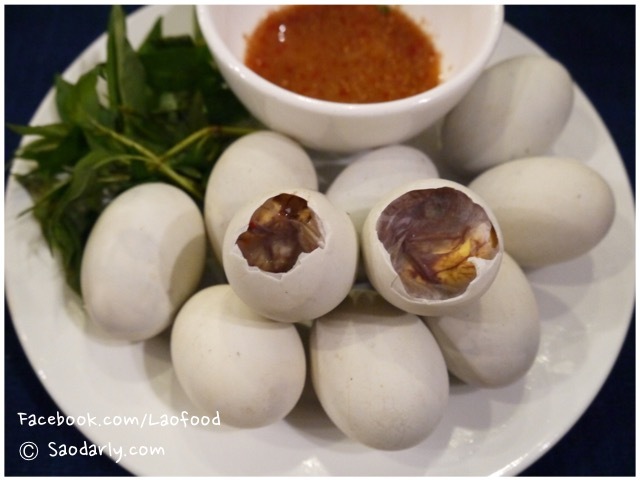 Unlike my relatives, I can only eat the yellow part of the egg and not brave enough yet to try one that resembles a baby duck.